If you are a gardening enthusiast, you know how much hard work goes into creating a blooming, beautiful garden. 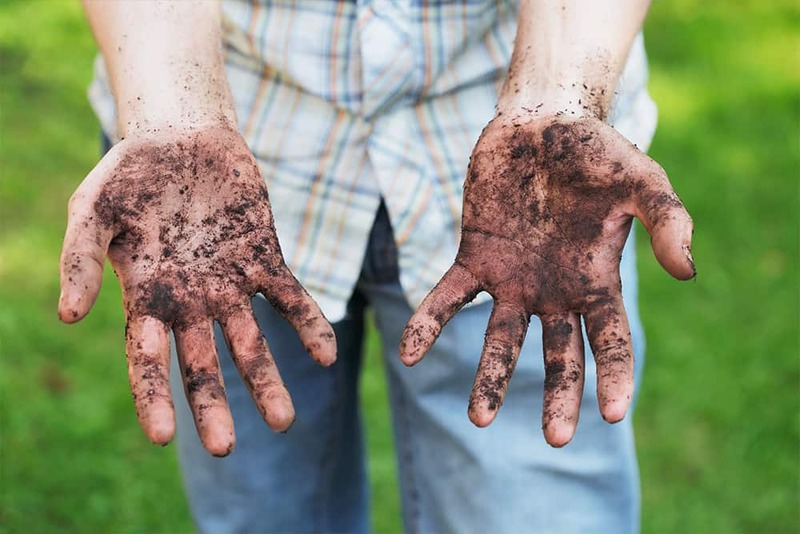 This activity can be extremely relaxing and engaging, but getting your hands dirty (literally) out there in the yard also has its disadvantages. Perhaps the biggest concern is the damage it may cause to the skin on your hands. Gardening makes your hands rough and dry. You may also end up with minor cuts, cracked skin, callouses, broken or brittle fingernails and more. Dry and rough hands look unpleasant and may lead to a lot of discomforts. The skin feels stretched, sometimes dirty and the cracks may cause pain. A healthy skin care routine is vital to protect your hands from all these problems. Your regular soap and water may not be enough to wash off all the dirt, mud, grime and plant oil that accumulates on your hands after spending a few hours working in the garden. You require something that will not only help you get rid of dirt and other impurities but also keep your hands moisturized and nourished. Store-bought scrubs and lotions often contain harsh and harmful detergents and other ingredients. Protect your hands from further damage by going natural! This DIY homemade hand scrub for gardeners is a blend of highly effective and safe ingredients that’ll cleanse and nourish your hands. It will heal your battered skin, prevent loss of moisture and make it softer and smoother. The best part is that it is effortless and easy to make. It will only take you a few minutes to make this amazing hand scrub and even lesser time to use. Add 3 to 5 tablespoons of sugar to a mixing bowl. Pour 1 tablespoon of castile soap to the mix. Now, add 1 tablespoon of coconut oil to it. Add 3 drops of peppermint essential oil and 6 drops of tea tree oil. Transfer the scrub into a jar for storage. Rub a little bit of the scrub on your hands. Pay special attention to the skin creases. Don’t scrub too aggressively as not to damage skin. This DIY homemade hand scrub for gardeners will last for quite a few weeks stored in a dark place, at room temperature. For extended storage, put it in the refrigerator. Make it for your personal use or as a gift for a fellow gardening enthusiast. This homemade hand scrub is definitely worth a try. 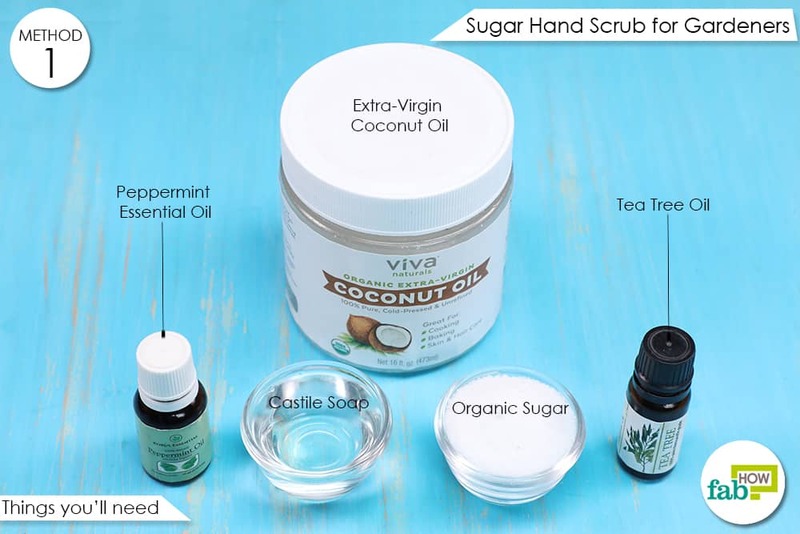 Here is how the various ingredients in this scrub can help make your hands cleaner, softer and smoother. 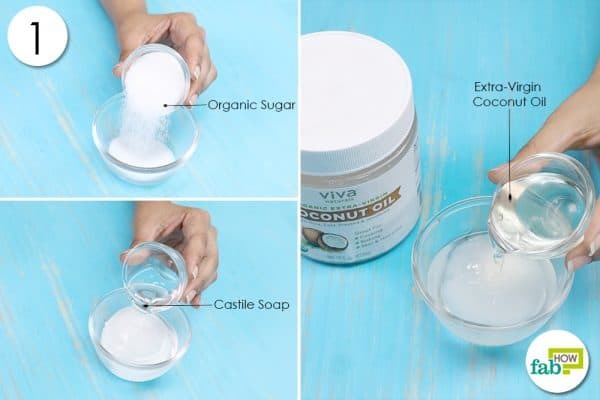 Coconut oil: Made up of healthy fats, extra-virgin coconut oil is one of the most popular natural ingredients for beauty and cosmetic purposes. It helps provide shine to dull skin and keep it nourished. It also protects the skin from further damage and infections. From signs of aging to an uneven skin tone to acne, coconut oil is the one-stop solution for all your skincare needs. Its antifungal, antiviral, antimicrobial and antibacterial properties make coconut oil the perfect solution to ward off a variety of skin infections. It is also rich in antioxidants, which help replenish and heal damaged skin. It also acts as a gentle yet thorough skin cleanser. Coconut oil will help to breakdown dirt that is stuck on the skin. Since it is quite heavy and moisture rich, it only takes a small amount of coconut oil to soften hands. Its excellent soothing properties are exactly what your hands require after spending a few busy hours in the garden. Sugar: People are fast ditching sugar as a part of their diet. On the other hand, this ingredient is earning a lot of credibility in the world of skin care. Exfoliation is a very important step when it comes to skin care. This is where sugar comes into the picture! It makes an excellent scrub. It will easily and gently buff away dead skin cells and all the impurities that collect on your skin while catering to your blooms. The glycol acid present in sugar goes deep into the skin and makes it fresh and radiant. However, that is not all that this ingredient is capable of. Sugar is a natural humectant, meaning it helps keep your skin hydrated and moisturized by drawing in moisture from the air. Another reason to use sugar in this scrub is that it plays a role in stabilizing the fragrance of the hand scrub. 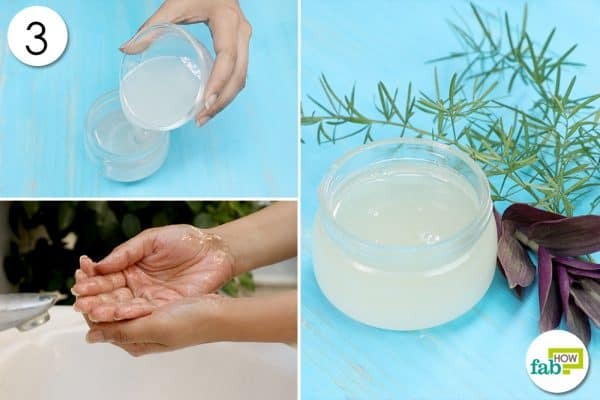 Castile soap: The cleansing effects of castile soap, along with the other ingredients, make this scrub the only remedy you need to heal your battered gardener’s hands. Castile soap is a natural way to get rid of the impurities ingrained in your skin after gardening. 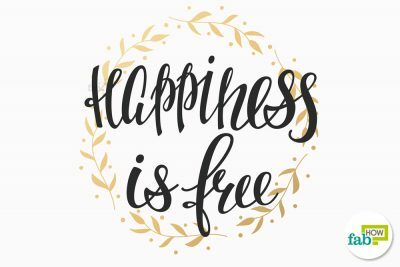 It is free of toxins and works wonders to improve the health and appearance of your skin. Tea tree essential oil: Tea tree oil is perhaps the most popular essential oil and offers endless benefits. It is used as a key ingredient in a number of natural remedies as well as commercial skin care solutions. This essential oil comes with antibacterial, antiseptic, antifungal, antiviral and antimicrobial properties. The healing properties of tea tree oil will help improve and maintain the health of your skin and nails. Peppermint essential oil: Peppermint essential oil helps make the skin radiant and toned. This natural therapeutic ingredient promotes blood circulation, making your skin healthier. It is also used in natural nail treatments for stronger and shinier nails. 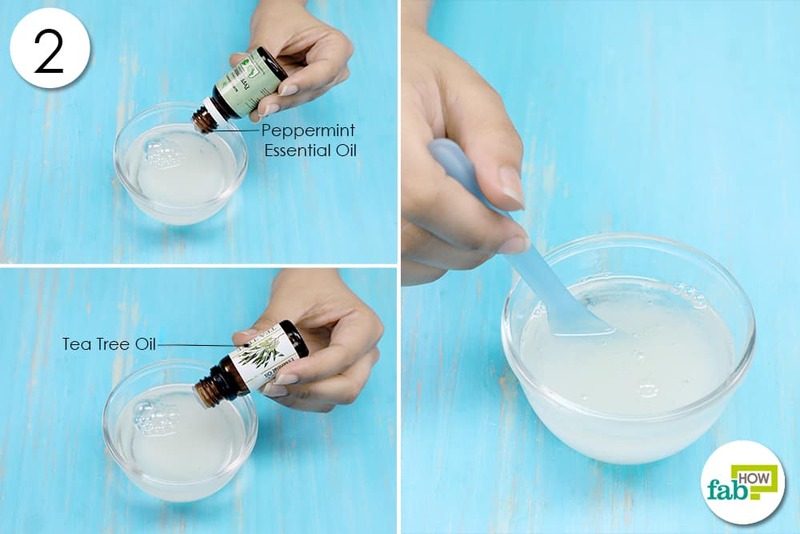 Peppermint oil will add a cool and refreshing touch to your hand scrub. Invest in a good pair of gardening gloves. For best results, use a hand cream or a moisturizing lotion before you put on the gloves. Keep your hands moisturized. Avoid harsh soaps that will strip the skin of its moisture. You can make homemade soaps at home that moisturize your skin and keep it healthy. You may also use a light moisturizing cream or massage oils. Your skin care routine should not be limited to your face. Your hands also need exfoliation, scrubbing and moisturizing. You can use a natural bristle brush to get rid of the dirt under your fingernails. Regularly oiling your cuticles and nails will help keep them healthy. This looks great! How long can it keep in a glass jar? Thank you for your query. This amazing scrub uses ingredients which have a long shelf life of their own. Hence, if kept at room temperature and a dark place it can be stored for up to 2-3 weeks easily. If kept refrigerated it will stay good for up to 2 months.